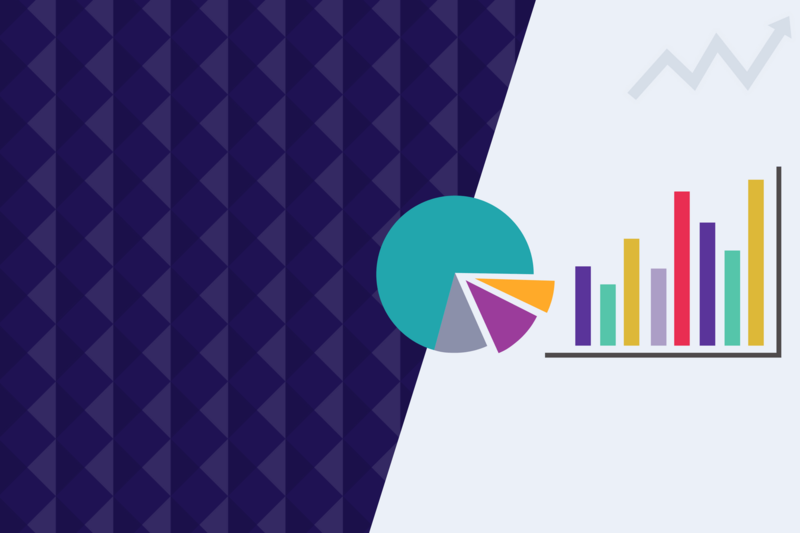 Your newsletters aren’t one-size-fits-all, your data and analytics shouldn’t be either. That’s why Cerkl developed Insights 2.0. Insights 2.0 makes it easy to track your performance & learn how you can increase engagement. We’ve added new reports, filters and an even easier way to get the data stories you need to tell. Let’s take a quick tour of our new features! When you load Insights 2.0, you will see your Cerkl Snapshot. This ‘home’ dashboard displays your organization’s most crucial data over a personalized reporting period. Sections include an overview of your Engagement Score, Audience size, Open Rate, Click-Thru Rate, and Personalization percentage. This section automatically picks the most important data range for your organization, depending on your default newsletter send frequency. Insights 2.0 can help you quickly compare your organization’s delivery metrics against the national average and Cerkls of the same size or industry. This can provide you valuable insights into what your organization does well and places you have room to improve. But this is just scratching the surface of the wisdom Insights 2.0 has to offer you and your org. Let’s take a deeper look. Insights 2.0 is equipped with great filtering and reporting options to help you learn how your audience wants to be engaged. With the updated action and reporting filters in Insights 2.0, you have even better access to what Cerkl’s AI-powered content delivery system has learned about your audience. No more guessing, now, you KNOW. Who has personalized, who has not? Do your subscribers prefer to receive your content on a weekly vs. bi-weekly basis? Which segments yield higher open and click rates? How can you re-engage audience members with lower engagement rates? How many people are interested in a specific category, and how much content have you created around that category? All of this and more is available right at your fingertips. Every Cerkl organization has different goals they need to measure and report. We created our brand new Custom Dashboards to make it even easier to understand, interpret, and share your amazing Cerkl metrics. We’ve listened to our customers and created 16 custom dashboard components to help you understand your Cerkl data. Each one can be sorted and filtered to get to the data you need to know. You can make one big dashboard with all your favorite data points, or bust it into different dashboards to narrow down your data for your many different functions and departments. If you create a custom dashboard you love, just click “Make Home,” so, everytime you load your Cerkl Insights, all the data you need will be there waiting for you! Insights 2.0 makes it super simple to download and share the data and analytics that matter to your team and your organization as a whole. Within specific reporting component, just use the download action to generate a CSV of your data table. Once the report is downloaded it will show up in your Exports section. We will also send you an email with a link to download your report. Simply pop that CSV into an Excel spreadsheet or Google Sheet and share it with your stakeholders. Easy peasy. Curating and creating great content is the cornerstone of any successful Cerkl. With Insights 2.0 you can easily see what content is resonating with your audience. Just select the date range you want to examine and use any of the filtering options to find the most and least engaging content pieces. You can see how it’s tagged, where it came from, and those oh so important delivery and click stats. A click of the audience icon below any content piece will serve you a list of your subscribers who have been sent that particular piece of content in one of their automated newsletters. You can even filter by Categories, to compare per piece performance. When you filter by Content Source you can see how the performance of articles and links posted to your Cerkl compare. Category tagging in Cerkl is how we get the right message to the right person at the right time. Your Categories report shows you what percentage of your audience is interested in a given Cerkl Category. This allows you to get to know your audience better. A high-interest percentage for a given Category tells you that a large majority of your audience can be engaged by content. This can help you quickly make editorial and event decisions. Curious what content made a Category particularly interesting to your audience? Clicking on a Category will open up a new report showing the content pieces published to that Category. Download this report to CSV and share with your team to help drive ideas for great, engaging content that resonates. We know how important your Audience is to your organization. We’ve made it even easier to see how they are interacting with your Cerkl. The Subscriber Details report allows you to quickly search for a Subscriber by Name or Email or you can sort through your list to find the folks who are most or least engaged by their opens, clicks, or Engagement Score. For each Subscriber, you can easily see their individual delivery settings, subscription date, when they got their last newsletter, the segments they belong to, and their top five interests. Many Cerkl customers use Dedicated Email Campaigns to reach their audience for a single event or offering. Before Insights 2.0, Campaign reporting did not process until the night after an email was sent, leaving our admins wondering what was going on with their Campaign. With Insights 2.0, your data is updated every 15 minutes. Now, you can easily sort your Campaigns by scheduled sends or clicks to see instant performance. If you enjoy using the Email Campaign Audience Feature to target members of your audience interested in a specific category, you are going to love this next trick. Click on any Campaign Name to see exactly which members of your audience received, opened and clicked on your campaign. Insights 2.0 is now available for all Cerkl customers.